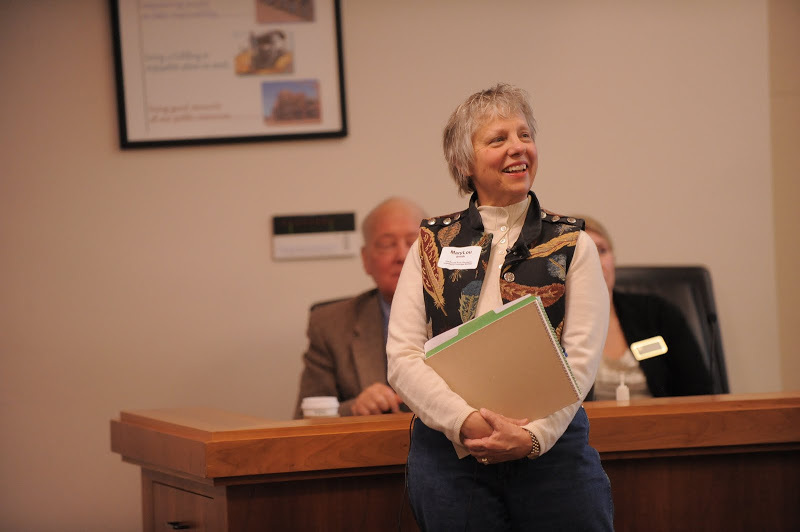 MaryLou Smith at a Poudre Runs Through It public forum in 2011. The Colorado Water Institute (CWI) at CSU has been working with community stakeholders along the Poudre River since 2011 to build collaborative relationships and action to reduce the polarization that has developed over the Northern Integrated Supply Project (NISP.) Rather than tackle the issue of whether or not the storage project, which would utilize Poudre River flows at times of high flow, should be built, Reagan Waskom and MaryLou Smith from CWI have focused on the bigger picture of the river itself. They have successfully brought together those who rely on the Poudre as a working river—and who own rights to its use for agriculture and urban uses—and those who are intent on improving its health, to learn from one another. 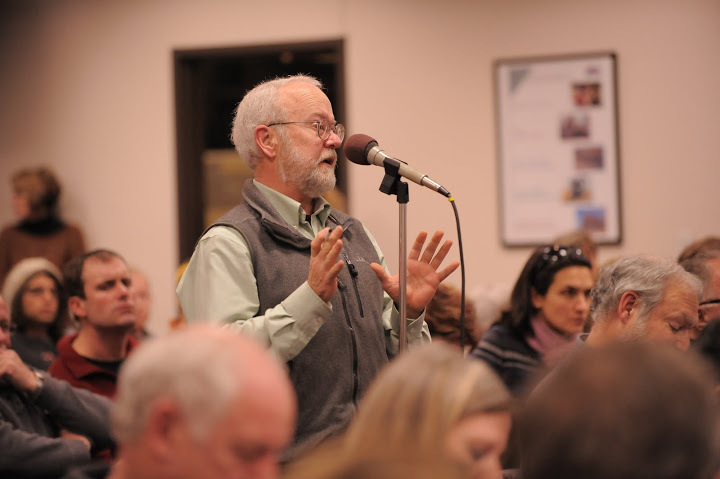 Participants speak up at the 2011 Poudre Runs Through It public forum. The efforts have since shifted. This Saturday’s Forum will be the first of its kind. Based on what they have learned, these diverse stakeholders—named The Poudre Runs Through It Study/Action Work Group—have developed a trio of initiatives they are tackling together. One of the initiatives has agricultural and urban stakeholders working alongside environmental stakeholders to figure out ways to increase flows in the Poudre—cooperation that would have been unheard of even a year ago. Another initiative is the first annual Poudre River Forum, expected to draw as many as 400 from the communities of Fort Collins, Greeley, Timnath and Windsor, to learn about the Poudre and to celebrate it with free beer and jazz by the Poudre River Irregulars. To learn more about The Poudre Runs Through It effort and the Poudre River Forum, visit this website. could change the culture overnight,” says Smith. Flip through the full magazine here to learn more about the Poudre River Forum and other interesting public engagement and education stories.